Reading the list of ingredients is the fasted way to judge a dog food..
-1 I hope you DON’T see! I don’t feed my dogs any commercial dog food and haven’t for almost a year. I will never go back to buying any commercial dog food, no matter what the manufacturers say they put in it or how healthy they claim it is. My dogs eat only meat. They do not get vegetables, grains or fruits. They get an occasional nut from the bird, but I don’t give them those on purpose. LOL! Glad you don’t give your dog commercial food but I’m concerned about giving your dog a diet of only meat… I know you have the best of intentions but dogs are not carnivores… cats are, dogs aren’t. Dogs are actually omnivores and should be getting vegetables and complex carbohydrates. Only 40% of the diet should be protein. all our dogs both Holistic/Organic food and treats containing no chemicals, no pork, no gmo”s, no molasses/sugar (honey-ok), no msg (over 50+ different names listed under!! ), nothing strange and I will call any/all companies on various ingredients listed on labels (whatever a person/company causes, that they shall also reap! i.e. love people-animals-plants the way you want to be loved! The name of the company is ‘THE BLUE BUFFALO CO.’ and for all/any parties interested, you may contact them via the internet at BlueBuff.com I have no problems with them and recommend them highly!! 1. Where can we find the fiber our dogs need when we make our own dog food (a). what kind of fiber do dogs need. 3. What about salt do dogs need salt added to their diet. I know some animals need salt like a cow. 4. If I make a dog treat such as a doggie biskets should i use whole grain flouer and add meat and or eggs. 6. Can I freeze the home made dog food to store it. Do i need to heat the dogs food? 7. What are the asorbale grains that we can put in our home made dog food where do I get them. 9. What kind of fish is good for our dogs other than tuna and salmom. 10. How much fat do our dogs need and what kind of fAT. I do not have my new Irish Setter puppy yet he is still with his mother But I will have him soon. so I am going to be some what new at feeding a puppy this new way with home made dog food. I am reading up on all kinds of info about dogs and puppies and the Irish Setter. I will be the top most informed person to ask dog questions soon LOL well maybe in about 10 years I have a lot to learn. 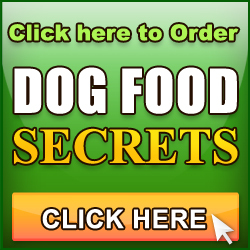 A – I find your dog will get tired of a food type if it eats it enough meals in a row so I vary between ground and cubes. For cubed I’ll roast a beef shoulder or something and then cube the meat with a knife. Hi Isiah, we made a group decision in my company not to create products which could become waste. We follow a policy of no harm to animal nor earth and therefore only carry digital producs. We realize many dog owners don’t like digital books and we apologize for that but at the moment we are determined to follow our principles of no harm. Thanks for all the effort and energy that you put in informing people about the money grabbing antics those dogfood people get up to and poisoning our canines at the same time. I was wondering if next to informing people, something else can be done, such as a worlwide law that prevents this from happening? That is a nice idea but going up against billion dollar companies as powerful as the pet food industry would not make any politician or law makers popular so at the moment the best I can do is share my info with you in the hope you adopt it and share with the people you know to grow the momentum. Putting me on the spot Tara… if I say anything bad the giant that is Iams may decide to punish me (only half joking :-). This food doesn’t look too bad, I’ve seen worse but I wouldn’t choose it for my own dog. For me the biggest issue is the low protein and fiber content and high grain content. I’d prefer to see 40% protein and more of the carbs coming frm vegetables rather than solely grains. If you really wanted to use this kibble I recommend you supplement it with green vegetable and decent quality protein. I realized I forgot to include that the ingredients above said they are naturally preserved with vitamin E and citric acid. I couldn’t find anywhere in the ingredients the toxic preservation you mentioned – EQ (ethoxyquin) and wonder if they have to print it on the bag if it is used to preserve a particular dry pet food. Yes they would need to print it on the packaging but there is a loop hole which the industry exploits. They get the preservatives added to the meat before they receive delivery and therefore since it was not them that added it, they don’t need to declare it on the packaging. Hi Andrew – thanks for the tuna recipe. My bichons both loved it. Also, want to say thanks for caring so much about our dogs that you would put together these videos for us. After seeing your videos, I have changed the way I feed my bichons. I also have a persian that has been on Royal Canin ‘Persian’ for years, and only because the kibble is easier for her to pick up with her tongue. Her face is completely flat and she has trouble picking up her food. I am trying to find someone healthier but she doesn’t eat any other shaped kibble. I wanted to ask your opinion of a dog food containing these ingredients? Deboned chicken, chicken meal, turkey meal, russet potato, deboned salmon, herring meal, sweet potato, peas, deboned lake whitefish, salmon meal, deboned walleye, chicken liver, deboned turkey, chicken fat, whole eggs, deboned herring, sun-cured alfalfa, salmon oil, chicory root, dehydrated organic kelp, pumpkin, carrots, spinach, turnip, greens, apples, cranberries, saskatoon berries, black currants. Here’s one I’m not sure is good: choline chloride. Others in the same food are psylium, licorice root, angelica root, fenugreek, marigold flowers, sweet fennel, peppermint leaf, chamomile flowers, dandelion, summer savory, rosemary, sea salt, vitamin supplements (Vit A, D3, E, niacin, Vit C, thiamine mononitrate? ?, riboflavin, Vit B5, B6, folic acid, biotin, Vit B12), mineral supplements (zinc proteinate, iron proteinate, manganese proteinate, copper proteinate, selenium). Not sure of proteinate and not sure of these: Lactobacillus acidophilus and enterococcus faecium fermentation product. Can you recommend a dry dog and cat food? That looks to be quite a good food Jenny. Choline chloride is an organic salt which has several roles in the body, its not a baddie. Lactobacillus acidophilus is an intestinal microbe important for digestion, also a goodie. Enterococcus faecium fermentation is also to aid digestion, I’m impressed to see this one has been added. The protein level is very high, not alarmingly, but perfectly balanced. Most commercial foods are woefully low in protein because teh FDA guaranteed analysis is only 9% protein. Overall I think this is a very good food. Hi Jenny, may I know what dog food is this? Hi, Andy! I am completely amazed at the information you have provided to us all. In just the little bit of time I have been aware of all this I have went to the store and only found ONE dog food that Hank can eat. I am amazed and deeply disturbed. I can not keep my mouth shut to anyone. I have shared you web site with family, friends, and even strangers in the grocery stores. Thank You! I will continue to follow you and spread your news to all. Good luck in all you endeavers! Jessica, feedback like that makes it all worthwhile — thanks you! Andrew, Thank you so much for all the information and videos you are providing for viewers. Believe this or not but every time I pull up your e-mails and view your videos my little girl will come to the computer and try to get up in my lap when she hears your voice. My neighbor does not want to believe that the manufacturers of dog food are allowing these things to be used in dog food. 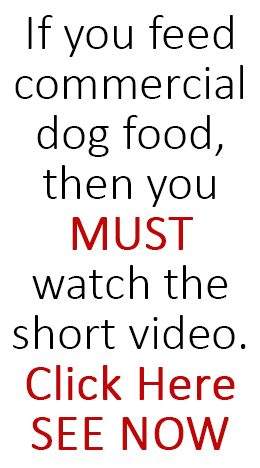 Especially in regards to your video where it shows that uthenized animals or dogs are used as a filler in some dog foods. Any material I can used to prove her wrong. Some people just don’t want to believe that the goverment would allow this. Thanks again for everything you do and Babi thanks you too. Hi!Andrew ,i’m so thankful for your videos and informations you are sending me ! !asince i’ve learned from your websites i never miss reading about your information,I love my siberian husky so much and so the time i got him i always make sure to buy the best even cost much dog food here in japan,,but really so thankfull for your information and now i’m cooking for him just about a week,he is 8 months old but he is big even he’s still a puppy,im a bit confuse of how much should i give him meat a day,i’m giving him beef ,or chicken,fish, mixed with vegies a day,,but how much meat should i give him,,he always seems not satisfied of the amount im giving him.Again thanks so much.. I didn\’t know that frozen foods contain additives until I read your website. diet is good enough, but there\’s more knowledge to that when preparing! Not all frozen veggies have added chemicals so its a matter of checking the packaging. Home-cooked, presuming its done sensibly, is still better than commercial even if you have not done the research simply because commercial is so bad its very easy to do better. Thanks for the information, videos and the Tuna recipe, Andrew. It smelled and tasted so good I ate some myself. My dog,Spirit, can\\\’t wait for me to put it in her dish before she starts gulping it down, unlike her regular dog food kibble which she took her time to eat. The only problem is, she can,t get enough of it and I have to make a double batch. Keep up the good work. 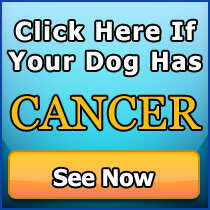 Hi Andrew, thank you for the videos, my dog loves the tuna recipe I tried it and it is very tasty, he has a skin problems at the moment and i am reading everything you send me to see if it helps, I have seen meat by products in the ingredients of many dog foods that I have bought not realising wha it WASN’T.